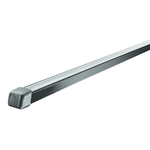 Heavy-duty, galvanized steel load bars are plastic coated to resist corrosion. 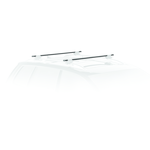 Available in multiple bar lengths, Thule Square bars deliver maximum load carrier versatility. Available in 4 lengths of: 50" , 58" , 65" and 78"